Marine Cargo Insurance provides coverage for loss of or damage to goods in transit by road either inland purchases or sales/transfer. • ITC (B): Fire, Lightning, Collision with or by the carrying vehicle, Overturning or derailment or similar accidents, Breakage of bridge are covered under the policy. • Riot, Strike, and civil commotion. Flood, Inundation and Storm. • Wilful misconduct • Ordinary leakage, ordinary loss in weight or volume or ordinary wear and tear • Inherent vice or nature of the subject-matter • Delay howsoever caused • Insolvency or financial default of carrier • Inadequate packing, war and kindred perils, lock-out and terrorism. War risk, Earthquake, Volcanic eruption. • Invoice value for the new items/goods and used items/goods it is a market value. • Specific Policy - A separate Policy for each consignment / transit. • Warranted cargo is carried in a closed vehicle/wagon or a vehicle/wagon duly covered with a serviceable tarpaulin for Inland Leg of Journey. 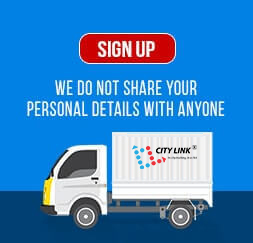 • Incase the weight of the cargo exceeds than Registration Laden weight/ Licensed Carrying Capacity of the vehicle, as mentioned in the Registration Certificate of the vehicle - Over loading not covered. Premium for a Cargo please refer the web site. • Excess: 1% of the consignment value, subject to minimum of Rs.1, 000/- for each and every claim. • (For more clarity for the ITC B – Please refer separate sheet attached with this documents). 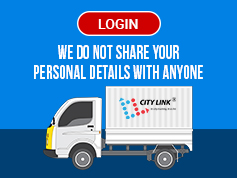 © 2017 City Link Portal Pvt.Ltd, All Rights Reserved. Mobile Should be 10 Digits. Please Agree the Terms & Condition.